When you’re connected to the Net, you can be transported to new domains. Imagine the world filled only with only beautiful words, astounding photos and masterful art. Ah! let us not forget the soothing music that begins solemnly till its triumphant ending. Will you not stay in the dream, knowing that awakening to the present will shatter the visions you just experienced? Visit the realm of the The Nomadic Soliloquist if you want to sample a similar kind of display. 3.3 Bitter gourd is the best. Aww! Well done you deserve it. Tank you for nominating me that’s very kind of you. 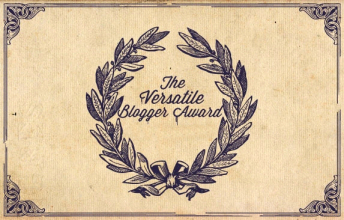 Congrats and thanks for sharing the love with the nomination for friendlyfairytales. I’ll try to find time soon to do a new award posting (woo-hoo!!). Had fun with it, but boy, was I up way too late!